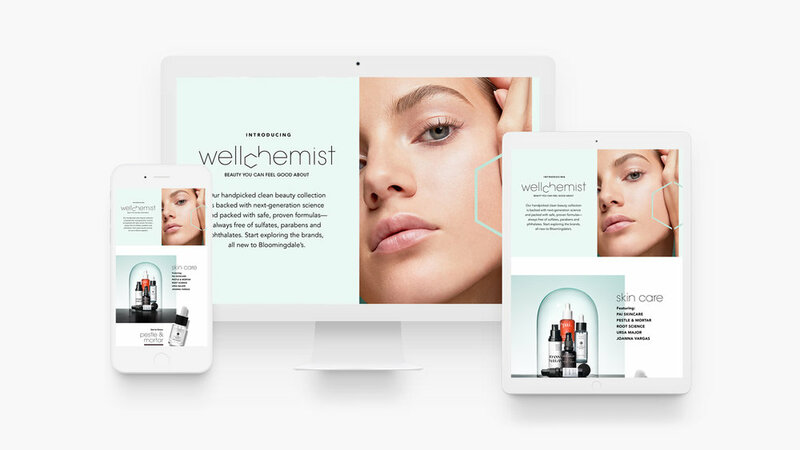 Borrowing from the language of science and molecular structure, this concept introduces the Wellchemist boutique as the ultimate destination for clean beauty. 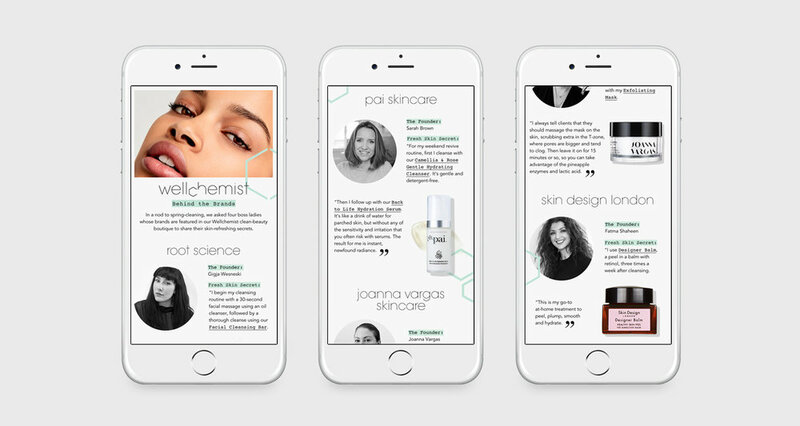 Located within select Bloomingdale’s stores and online, customers will find a curation of safe, science-backed, sustainably made products from brands like Juice Beauty, Organic Pharmacy and Living Proof. 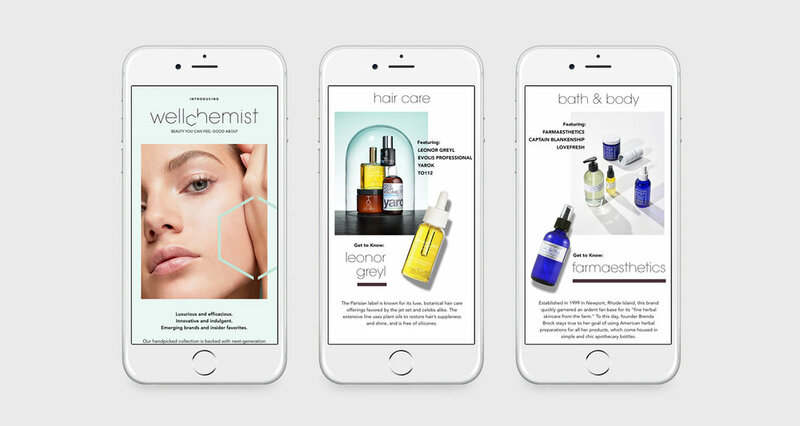 I led a team of 5+ people through the entire life cycle of the campaign, which includes digital, print and in-store components.